When hot liquid is added, the heat sensitive coating becomes transparent revealing the printed image beneath, strong and bright. As the mug cools, the heat sensitive coating is restored to its original color. 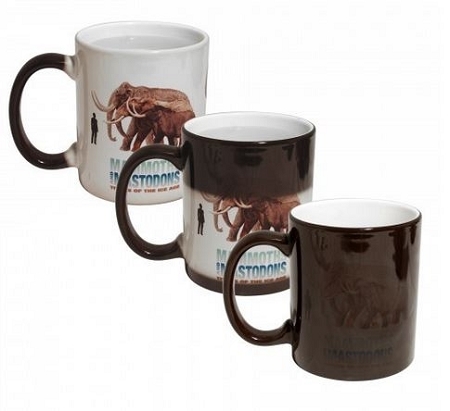 If the image is printed on a dark coating, it is only faintly visible when the mug is cold. On lighter coatings, the image will be more visible.